It’s hard to see Walmart expanding in any one market due to them selling basically everything already. However, Walmart sees itself wanting to get a foot in the door of the healthcare market. With over 140 million customers on a weekly basis, Walmart would be able to provide thousands of consumers with healthcare options. How will the company bring great healthcare at a low cost to its consumers? Today, we will look at Walmart’s latest moves to ensure the success of their healthcare venture. Compared to other pharmacies around the world, Walmart is already one of the leading pharmacies. With its variety of products, multiple locations, and ability to negotiate prices down on top of consumer loyalty, nothing is really holding Walmart out of the healthcare market. With Walmart’s other services like food products and technology, they would be able to provide consumers with balanced nutritional guides based on their needs and even providing the latest gadgets to help track health. It doesn’t stop there; earlier this year, talks between Walmart and Humana were underway to actually purchase the health insurer. The company has even talked to Sean Slovenski, Humana’s former executive, to lead its health and wellness division. Why does Walmart want to enter into the healthcare market in the first place? One reason might be the potential uptick in in-store purchases. Walmart already carries food, tires, and laundry detergent; why can’t they expand anymore? Another reason is that they have most of the components available already for a higher quality of benefits and services. If Walmart continues its expansion, it would provide plans based on the needs of each consumer. 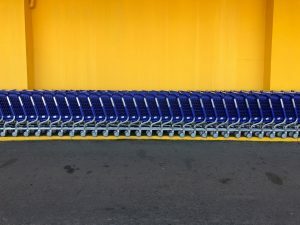 With the current state of the healthcare market, Walmart has the perfect opportunity to enter and make a successful platform for its current consumers. Signing up consumers would be relatively easy and can be done in-person. With healthcare in its current pickle, maybe Walmart can help shape its future in the right direction. Stay tuned for more news on Walmart and Humana as we approach the end of the year and the beginning of the AEP. Since insurance is oftentimes overwhelmingly confusing, we want to shed light on this industry by answering YOUR questions so submit a comment below!